Discussion » Questions » Paranormal » Might This Be One Reason Why People Distrust the Statist Quo? Might This Be One Reason Why People Distrust the Statist Quo? This is by no means the only example of deep friendships between (outwardly) "bitter political rivals," but it does help to underscore why many, myself included, insist that the statist quo/establishment MUST be wrested from power. When there's no reliable way to distinguish between L and R, there is no practical difference between L and R.
I find it rather refreshing that two people with differing political views can be friends. 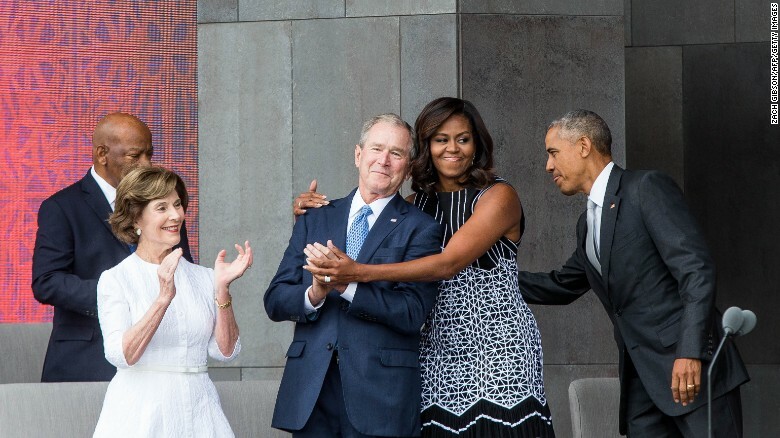 I think we need much more of that -- I think the current political state in the USA could benefit a lot from friendships "across the aisle." Not sure what is the "statist quo". But friendship, accommodation, mutual respect, and working together are all things which are important to power. Hatred and resentment does not create power but undermines it.